Time really does fly when you’re having fun! I can’t believe that it was five years ago today that I sat down at my computer at New Ways Ministry and typed into Google the words “how to start a blog.” I spent the day learning about platforms and scheduling, and by the time 5:00 p.m.rolled around, I had my very first post for a blog I dubbed Bondings 2.0. The Bondings part of the name was taken from New Ways Ministry’s paper newsletter, published continuously since 1978. The 2.0 part was a nod to the fact that this was a social media version of Catholic LGBT news. I started the blog that day with the hope that I would post something three times a week. However, I so much enjoyed the work of blogging that I found myself posting every single day. And for the past five years, we have put up at least one post (sometimes two or three) every single day. This isn’t just bragging about our epistolary stamina. The fact that there is something to post every single day for five years attests to the fact that Catholic LGBT news and opinion has blossomed and is one of the main stories of our contemporary world. One of the main joys of this work is that I get to interact with wonderful people: our readers! Your comments on individual posts have helped to open my eyes to perspectives and information that are truly enlightening. I’m grateful, too, to the many readers who send me “tips” in the form of news links to articles I might have missed. I also have been blessed with great co-workers over the years who have kept this blog vibrant. Of course, at the top of this list is Bob Shine, a tireless writer and investigator who does the lion’s share of the work in producing posts week in and week out. And of course, my colleagues at New Ways Ministry who have written several posts over the years–Sr. Jeannine Gramick, Matt Myers, Cynde Nordone, Glen Bradley–have also added to this great conversation. Last, but not least, are our guest contributors, too many to mention by name, but whose writings have brought new dimensions to this ongoing conversation. Our latest guest contributor debuted yesterday, in an Advent Scriptural reflection series written by young LGBTQ theologians. Only twice a year do we come to our readers and ask for financial support for this project. Tomorrow is “Giving Tuesday,” a day set aside to make holiday donations to non-profit organizations and charities. We would be deeply honored if you could assist this blog project by making New Ways Ministry one of your charitable donations this year. You can donate by clicking here, filling out the form, and writing “blog” in the comments box at the end of the form. You don’t have to wait until Tuesday to make your donation. Do it today so that you don’t forget! Of course, your donation is tax-deductible. If you prefer not to donate on-line, you can call our office 301-277-5674, during business hours, Eastern U.S. time, and we can take your credit card information over the phone. Or you can send a check made to “New Ways Ministry” to 4012 – 29th Street, Mount Rainier, Maryland 20712. However you decide to donate, your gift is tax-deductible. 3. No blanket calls to leave the Catholic Church, or invitations to join other churches (e.g, “All LGBT people should leave Catholicism,” “I don’t know why you all don’t become Protestant”). 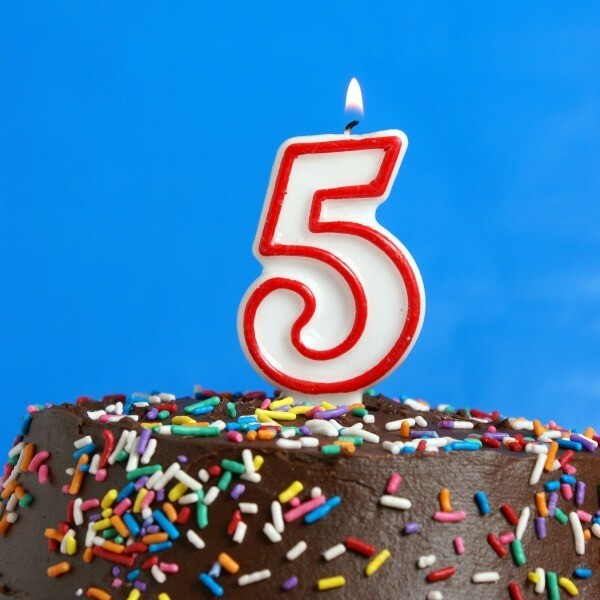 Blogging has been a wonderful adventure these past five years! Each day, we learn something new. We look forward to many more adventurous years with you in the future! Thanks so much for being a part of this online community! Bondings 2.0 and all of New Ways team have been a great blessing in my life. You are the sunshine at dawn and the rain on dry fields. Francis and Bob, etc all, thank you for providing a safe space for civil dialogue that is informative, insightful and inspiring.